“Did everyone get on that bird yet?” A familiar refrain heard throughout the weekend on the New Hope Audubon Society Boone Birding trip in the Blue Ridge Mountains. “Oh, oh, oh, Stop, Stop, Stop!” our birding guide Tom Driscoll yells as some non-descript delicate little silhouette streaks across the sky and then quickly ducks out of view. “A Black-throated Blue Warbler” Tom says, as 14 sets of quizzical eyes look on. Tom explains he IDed the bird by first noticing its “GIS” or general impression and shape, and then he took note of a few key details such as a black throat, clean white underparts, dark blue upperparts and a distinct white wing patch. In addition, the habitat was just right for this bird, a mixed deciduous and evergreen woodland with thick undergrowth including rhododendrons and mountain laurels. These details help us all improve our birding skills as we become more confident birders. 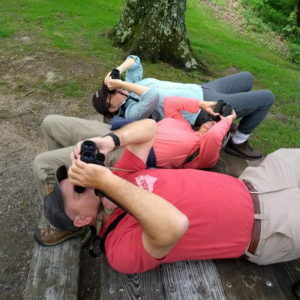 Every spring in May the New Hope Audubon Society sponsors a bird watching outing to the mountains of the Boone, NC area. 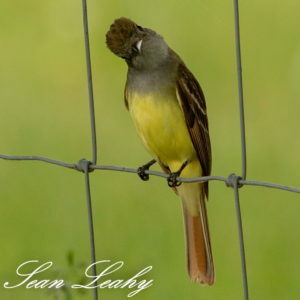 Just on the tail end of spring migration and with breeding birds busy establishing and defending their territory and attracting a mate, the mountains are alive with the sound of avian music! 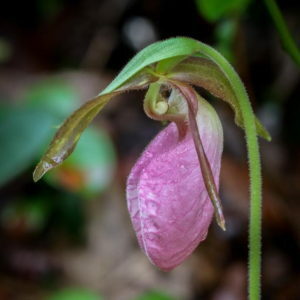 For 3 action packed days, 14 members of New Hope Audubon Society sprinted to keep up with “Old” Tom’s excited cadence as he bolted from one sighting high up in the trees to the next. “Did everyone get on that Black-throated Green Warbler?” “ Watch my light, see it . . . see it . . . see it. “It’s on the branch just above and to the left of my light,” as the man who is also known by his birding handle as “Spotted Redshank” says to the rest of us mere mortal birders, squinting through our binoculars to see the glorious little gem flitting about from one limb to another high up in the beautiful mountains of Watauga County surrounding the town of Boone. Each day of our trip began at 6:30am as our bleary-eyed guide crawls out of his car and tries to gather his thoughts . . . and then just as Tom is about to say something . 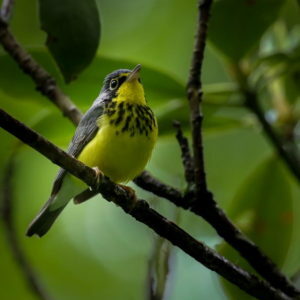 . . he loses his train of thought, as he is distracted by the Yellow Warbler that greeted us every morning . . . and then Tom starts again, only to be interrupted by the passage of a treasury of goldfinches or a museum of waxwings passing by. Meanwhile, Nan brings out a couple dozen Krispy Kreme donuts and then no one is listening to Tom at all! Finally, after all of the commotion, and jazzed by these early morning treats, our plan is set for the day and the adventure begins! 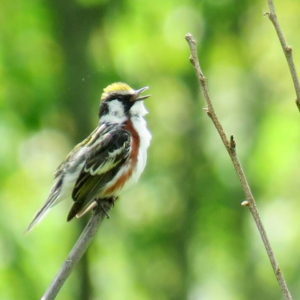 From the Willow Flycatchers of Valle Crucis Community Park to the Golden-winged Warblers of Elk Knob State Park and the Alder Flycatchers of Meat Camp Environmental Studies Area to the fiery orange Blackburnian Warblers of Beacon Heights, “Old” Tom tirelessly pursued every chip, tweet, call, song, and rustling leaf in search of “lifers” for the participants on this annual trip. This year’s trip was spectacular! Despite the overcast and sometimes rainy weather, Tom managed to get us all on many magnificent birds including a truly sublime Canada Warbler at Trout Lake in Moses Cone Memorial Park, singing its sweet melody for us so near it seemed as if we could reach out to touch it. This lovely bird received a standing ovation from its New Hope patrons! Tom’s enthusiasm for finding fascinating birds is infectious. In fact, it’s his own excitement and curiosity that drives all of us to join in with him to persist late into the afternoon to keep discovering new birds. Tom’s energy never wanes as he works to make sure everyone sees each bird that generously shares a brief moment of its frantic life with us. 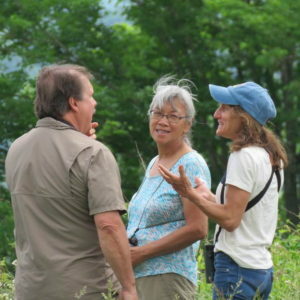 Editor’s note: New Hope Audubon has weekly bird walks and periodic field trips, and Tom is one of a number of our capable leaders. These events are posted on our home page and our web calendar.